the naysayers have no where to go on this. Life is unofficially found on Mars, but wouldn’t you know it to be the lowly mouse? Or, is it a woodland rat? But it is a rodent none-the-less! The next realization floating up to my awareness was one I identified with on a personal level, that the Mars mouse is yet another example supporting what has been said by many alert observers for years: that scientists, certainly those who manage the data, have been lying to the public about what they must have seen in their relatively short tenure in space travel. Omittance is the same as lying. The evidence is widespread that if a corporate or government paid scientist, of which there are many, are side-lined or worse, if they do not toe the official line. The U.S. space program is only 54 years old and we suspect it is mainly oriented to U.S. military defense, even though it is officially declared a U.S. government agency designated as a civilian space program. The Zetas of ZetaTalk have made it very clear over the years, that NASA is under the thumb of the Council of Worlds and is watched very closely, by why? It is clear that NASA is working for the wealthy elite to use it’s space-vehicle earth take-off and landing services to provide a pole-shift escape route to the moon for the wealthy and the privileged. As an example of the influence of the Council of Worlds at the hand of the Zetas, consider the August 10, 2012 launching of Morpheus, the NASA designed robotic vertical moon take off and landing vehicle. It weighs 2,300 pounds and although powered by it’s own fuel tanks, it weighs 600 pounds less than the Friendship 7 space vehicle. It’s been 43 years since the first moon landing and you would think that NASA would be able to get Morpheus to take off and land in a controlled environment, but no, it crashed! Image left: “Manufactured and assembled at NASA’s Johnson Space Center (JSC) and Armadillo Aerospace’s facility near Dallas. The prototype lander is a “spacecraft” that is about 10 feet in diameter, weighs approximately 2,300 pounds (1,000 kg) and consists of four silver spherical propellant tanks topped by avionics boxes and a web of wires.” Wikipedia. Photography by Paula Puffer. NASA, a spiritually errant organization, is being chastised (again) in a most vulnerable way, the destruction of a primary space craft: don’t go here, is the message! 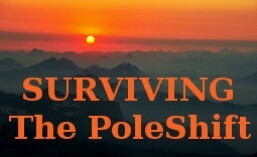 The downing of a relatively simple space craft is a unwitting clown-act by those who would seek to only serve themselves: a circus of the selfish. Wake-up! Human science is compromised by political and elitist agendas! Let’s backtrack for an analogy. Speaking for myself, my personal awareness’s of the world around me were originally formed including the many biases my mother father unwittingly foisted upon me as a child. It takes many years, at least of my years, to realize that things I thought were true were entirely false! Laying in wait, I found many other beliefs that needed updating, so I’m still looking. Self examination requires a committed willingness to sacrifice the comfort of a comparatively small life into an initially agonizing and distasteful, but highly rewarding expansion to a larger kind of life of being open to new truths and concepts. The red flag for me, is when I encounter a desire that wants to automatically push-away a new concept. Those that fear this transition may cry “Conspiracy Theory!” but those strong enough to face the darkness within do seek to clear themselves of the accumulated junk of human living, they want to move closer to their destiny: the permanent reign of the freedom of thought. The freedom of thought allows us to move without restriction from one idea to another. Why would one reject the freedom of thought for the victimization of pre-packaged beliefs? This reign is permanent, as no one wants to return to thinking on rails once they are free of the tracks. To consider the thought that our governments are an extension of the unconscious status quo of the masses is benign enough at first, but once we feel this new “grain of salt” disturbing our cherished beliefs, it comes down to the choice of whether we want the truth about the world around us or retreat to the comfort of accepting the pablum offered up to us by the controlling strata within established science. My point is that the sanitized and tidy little solar system we have been taught to believe in, that is supposedly devoid of any kind of Life or that of visiting or resident ETs, no longer makes any sense. Since we are lied to about one thing, the remaining balance of what is taught about our Universe is suspect as well. So now, there it is, a little mouse to expose the hundreds of years of control enjoyed by the wealthy elite and the science establishment. “Is there life on Mars? An undated NASA handout photograph of Mars taken by the Mars Explorer Spirit shows what seems to be a figure striding across the surface of the planet.” BBC News. 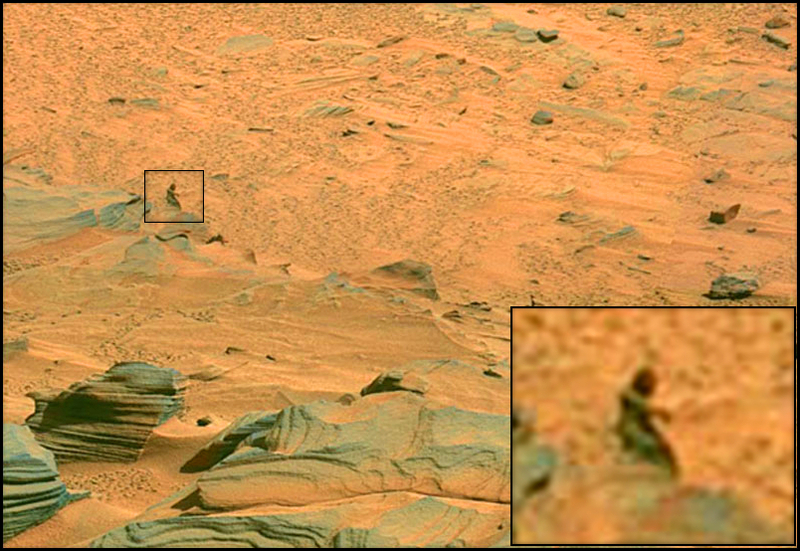 The above image, taken by the Mars explorer Spirit at it’s landing site in 2004, has been circulating the Internet for years. I believe it is a woman (or a statue of a woman?) sitting on the rocky outcropping: you can see her right thigh resting on top of her rocky perch. 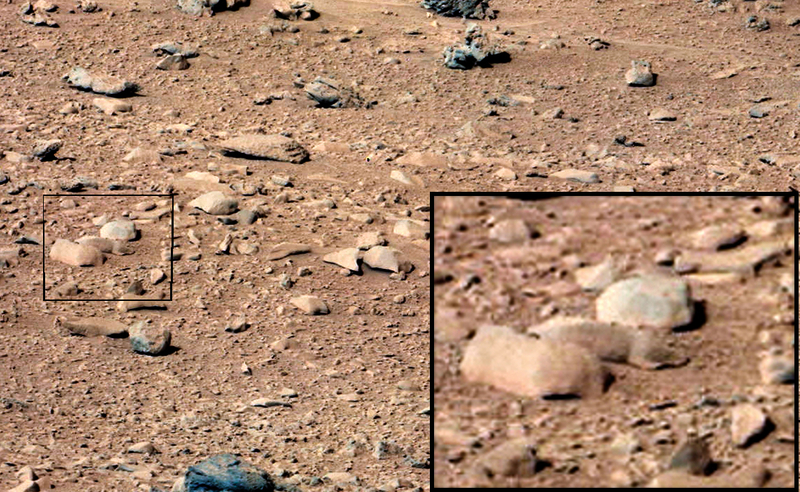 Certainly this is more evidence for life on Mars, but places a distant third to the image of a live rodent! 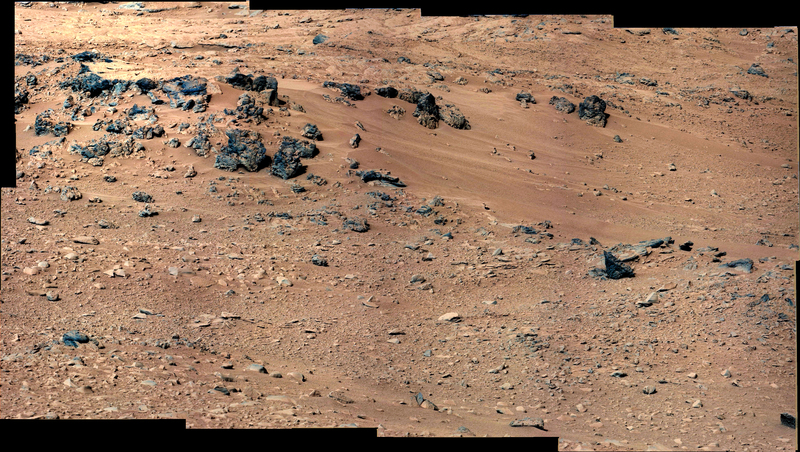 This entry was posted in Exposure of Authorized Deception and tagged 2012, crustal shift, December 21 2012, Earth Pole-shift, earth poleshift, life on mars, mouse on mars, nasa lies, nibiru, planet x, Zetatalk. Bookmark the permalink. ← Nibiru, 2012, Myth and ancient writings.